-Shell Material: 316 stainless steel cover and polycarbonate lens. -LED Color: Red and Green. 2.Equipped with 316 stainless steel cover and polycarbonate lenses. 5.LED light source---don't use much current and don't run hot like the old traditional bulbs. Made of silver stainless steel cover. 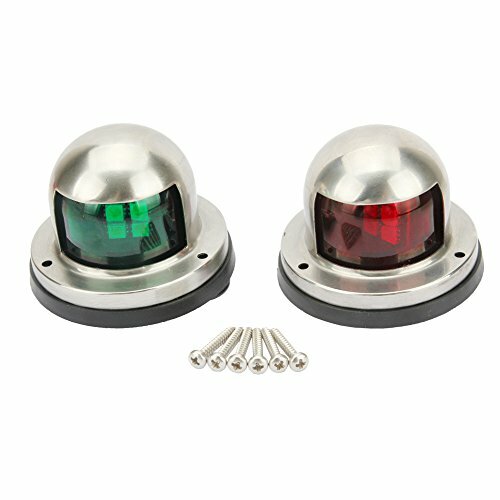 A pair of navigation lights. The port side is red and the starboard side is green. High power 8 led per bulb. Easy to stall with predrilled holes.